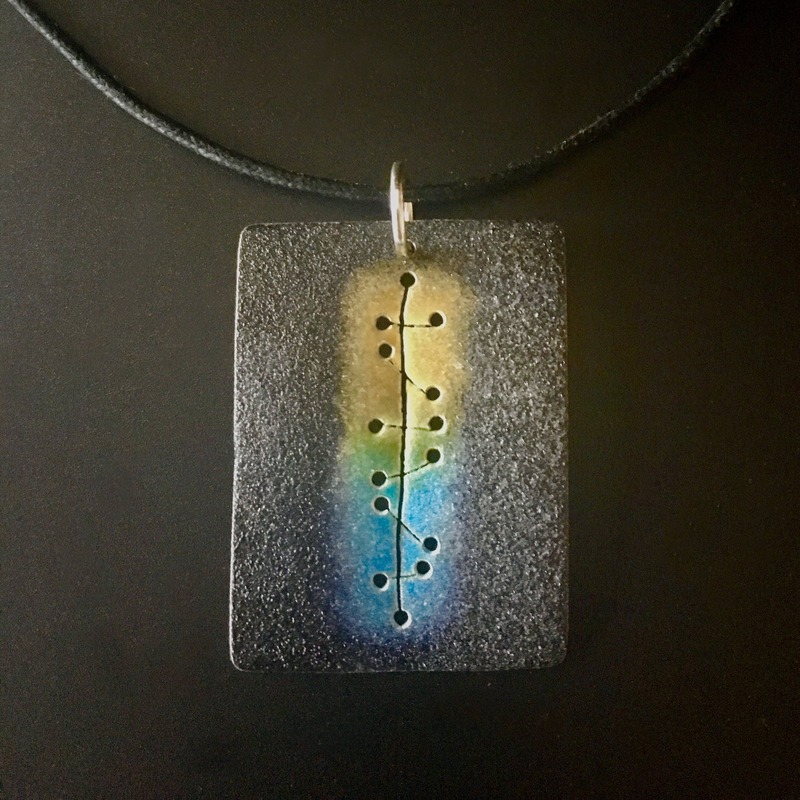 Captivating EnamelArt pendant features transparent gold & blue and opaque black vitreous enamel on a Fine Silver rectangle that has been pierced with a “stitched” design in the center. Enamel has been given a rough, grainy texture for additional effect. 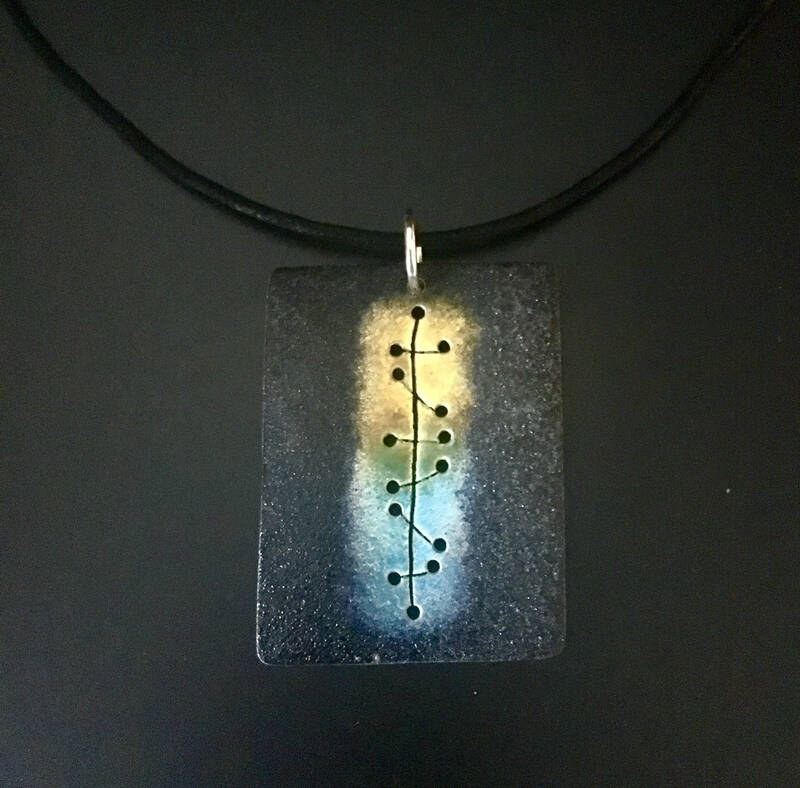 Pendant measures approximately 1 3/4 X 1 1/8”, and is suspended by a Sterling Silver loop from a black cotton neckcord with Sterling clasp.